Today would be a great day to get some outfit photos, but after Nemo, the sidewalks are barely walkable due to all the snow (sad face). But alas, spring is slowly on its way! 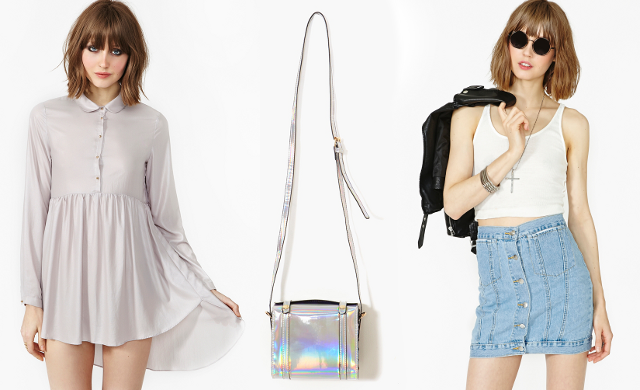 Here are some things I would love to see in my closet for the upcoming season. Self explanatory right? Kaleidoscope prints are huge right now and this sweatshirt is absolute heaven for the lazy-day-don't-want-to-get-dressed girl in me. We recently got this knit in at the store -- just look at it! I love summer/spring knits because they allow the look of an oversized winter sweater but with the airiness of warm weather fabrics. Perfect with a pair of shorts and a bathing suit. [L - R] 1. buckled shoe, 2. and 3. tasseled crop top in magenta and black respectively. Shout out to Steph from The Fashion Citizen -- one of my (and I'm sure everyone's) favorite Youtube channels -- for the shoe inspiration! I kept it simple -- the medium stonewashed indigo easy jean and denim circle skirt. I think that's all I need though. 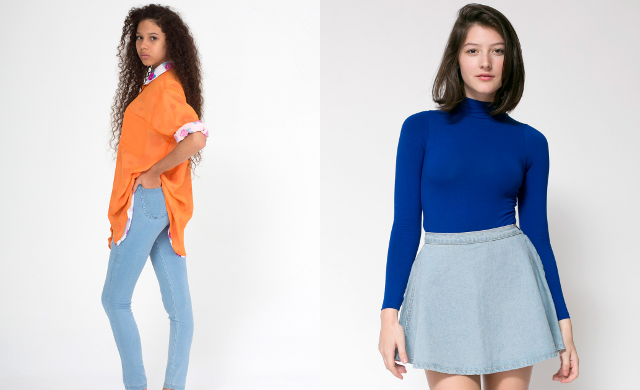 American Apparel does high end basics so well, so I know I'd be able to pair these pieces with everything in my wardrobe. 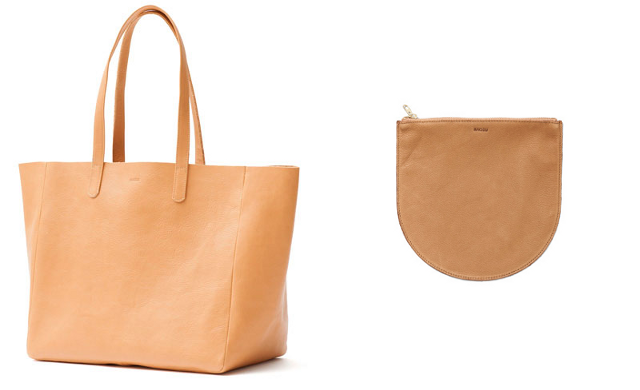 I'm so surprised I don't see people talk about Baggu more, their bags are such minimal perfection. This tote and this medium sized (~the size of a clutch) pouch would be great as everyday summer bags and would also fit in well over the rest of the year. Last but not least, Nastygal! I only picked a few things because I actually get a bit anxious looking through their site. It's like a neverending bin of clothing and I need it all. But regardless, I narrowed it down to a sort of pale babydoll dress, an amazing holographic crossbody satchel, and this awesome 90s-esque denim skirt. Wooh! So there it is. Now I want to hear from you -- what's on your Spring 2013 wishlist?